LEONARD THE LYREBIRD- A MUSICAL STORY AT SCENIC WORLD. GIVEAWAY WITH RIDES!. LEONARD THE LYREBIRD – A MUSICAL STORY, will be onstage for the first time ever in the exciting and beautiful surrounds of Scenic World in the World Heritage-listed Blue Mountains. original composition by acclaimed composer Ian Munro based on the children’s book, Leonard the Lyrebird. Written by Jodie McLeod and illustrated by Eloise Short, both Blue Mountains locals, Leonard the Lyrebird is a popular Australian bush animal story about friendship and bravery that connects children and their families with the Blue Mountains. Published in September 2018 with the support of a crowdfunding campaign, the book will take to the stage for the world first classical music performance featuring award-winning concert pianist Grace Kim, Opera Australia Orchestra principal cellist Teije Hylkema and associate principal clarinet Philip Green. Narrated by the composer himself, this original Australian classical work will enchant audiences of all ages with an imaginative blend of storytelling, instrumentation and illustration. There will be a a number of live performances, including the world premiere at EATS270 at Scenic World Blue Mountains on Saturday, February 23 from 5-8pm, beginning with an exclusive talk with the composer. 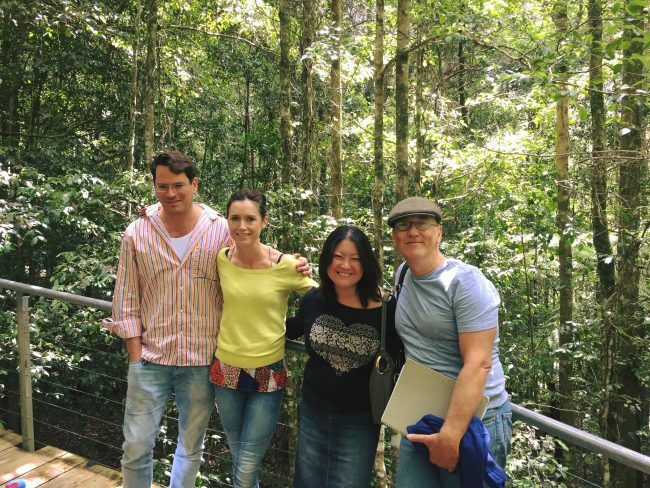 (Tickets here) This will be followed by live intimate 30-minute performances (Tickets here) held at Scenic World’s Rainforest Room among the Jamison Valley on Sunday, February 24 at 11am and 1pm. Tickets include unlimited access on the Scenic Railway, Walkway, Cableway and Skyway. A limited tickets are available, priced at $29.95 for adults and $18.90 for children (4 yrs – 13 yrs). Entry is free for kids under four years of age, and food and drink will be available for purchase. Leonard the Lyrebird: A Musical Story, proudly presented by Mountain Concerts [Facebook] and Scenic World Blue Mountains [Facebook] is also supported the Blue Mountains City of the Arts Trust. 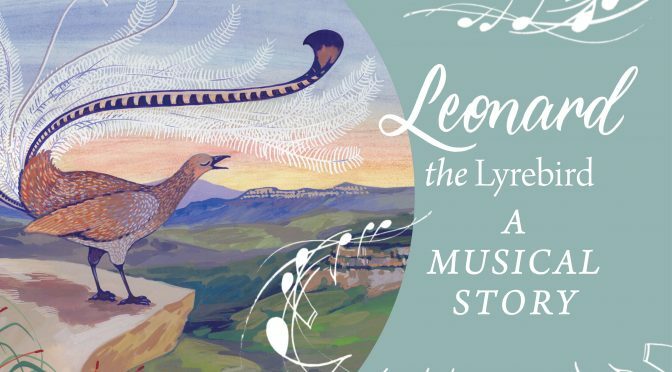 With thanks to Mountain Concerts, Sydney Arts Guide has a very special double pass giveaway for LEONARD THE LYREBIRD - A MUSICAL STORY at 5 pm, February 23, 2019 at Scenic World Blue Mountains. Including unlimited access on the Scenic Railway, Walkway, Cableway and Skyway. with LEONARD_THE_LYREBIRD as the subject and your full name. Please include a contact phone number. Competition closes Midnight on Monday February 18, 2019 when the winner will be drawn. Only the winner will be notified and the pass will be available at the box office on the afternoon of performance. Congratulations to Jason who is the winner of this competition. Enjoy the music, the rides and the beautiful Blue Mountains.